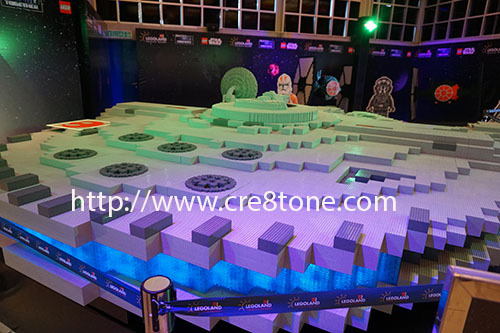 With the final brick placed on 3 May 2016..
With the dimensions of 16ft (4.8m) long and 12ft (3.6m) wide.. I wonder which part of it..
And the explosive-laden TIE Bomber. 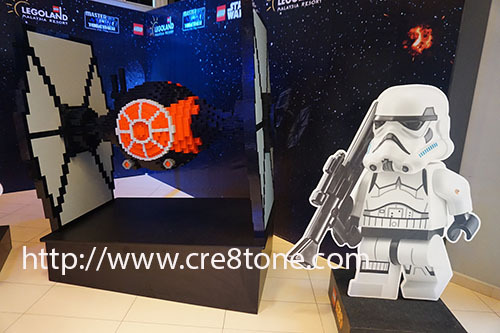 Of all enemies of the Empire..
only 2 person managed to complete that using 200k lego bricks?! wow, that's a feat isn't it? Cool photos and an awesome project to be part of no matter how small. Your genuine excitement really shines through. This one is really impressive. 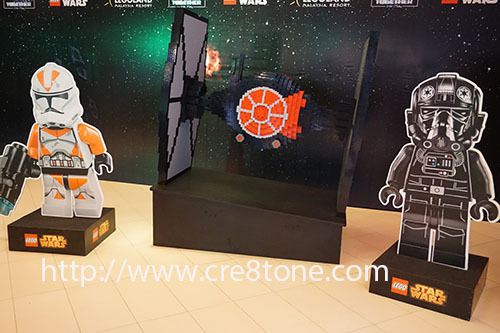 I'm a big lego and Star Wars fan. That's just simply amazing and it's really nice to be able to be part of this lovely project! I wish I have the chance to see it in person as well. I'm sure the geek in me will rejoice! 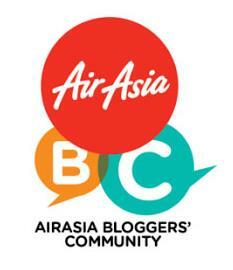 A real awesome project to be part of no matter how small,the pics are really great.Thanks for sharing. 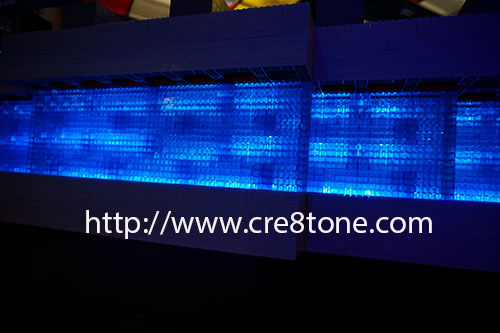 The huge Lego structure is impressive display of patience. Even small Lego pieces are not easy to put together. The feeling of achievement must have been so fulfilling after they finished this. I really love lego. Ever since I was a kid, I find this particular toy simply amazing up to now. And so far, nothing has beaten the idea of this toy. 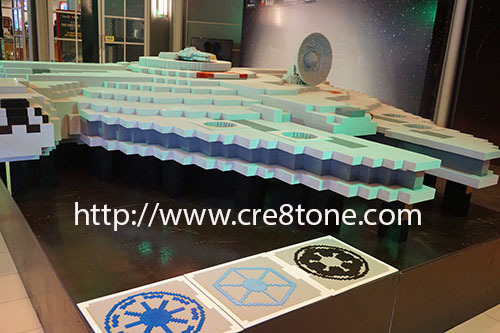 See, you can create different image out from using lego bricks and to prove it, simply this awesome lego millennium falcon! Wow!! This is truly awesome...Lego guys keep on coming up with such initiatives . That's an impressive accomplishment. 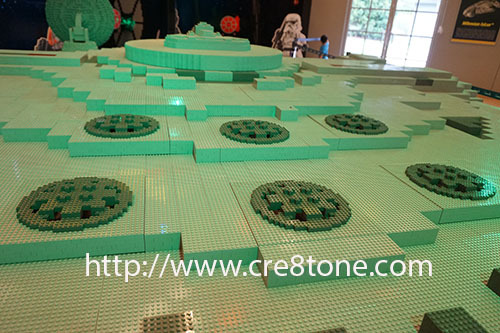 And kudos for being a part of the Lego Star Wars structure construction! 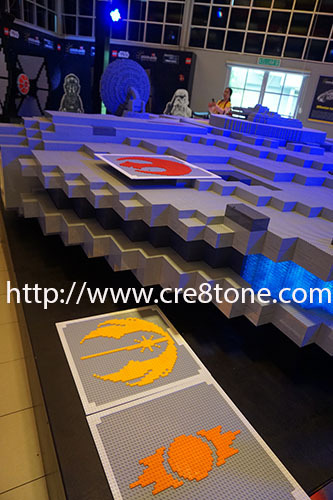 There's something called Starwars craze and there's something called Legoland craze and this is the kingpin of it all!! Wow, that's huge! I'm surprised you didn't do a human comparison to show people the difference in size! My son loves LEGO AND Starwars. He would go crazy over this! This looks like an awesome exhibit every adult would enjoy too! Wow I wish to go to Legoland this year end when on my way to Singapore.